CFAS Wales is a longitudinal study looking at health and cognitive function in older people living in Wales. Funded by the Economic and Social Research Council and Higher Education Funding Council for Wales, the study builds on the design and infrastructure of the successful Cognitive Function and Ageing Study collaboration (CFAS). Recruitment for CFAS Wales began in 2011 with the follow up wave being completed in early 2016. 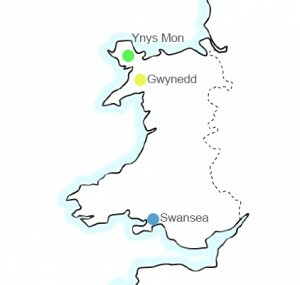 The Welsh study enhances CFAS II, which includes three sites in England, by allowing a more in-depth examination of rural-urban variations, which have been markedly unexplained in previous studies. CFAS Wales is also perfectly placed to explore the impact of policy changes under the Welsh Assembly Government. As Gwynedd was an original CFAS I site in 1993, important questions about generational change can be ascertained through comparing the two waves of data. This is a significant resource for informing policy. Activity and participation – exploring which factors people with and without cognitive impairment believe affect their inclusion and exclusion from community and civic life. Environmental factors – looking at the impact of cognitive impairment on attachment to place and comparing variations in cognitive functioning across rural and urban areas, including those that are socially deprived. Generational change and estimate changes in the prevalence of cognitive impairment and dementia in Wales 15 years after the first CFAS cohort was established. Adaptation and resiliency – identifying factors that might have a detrimental effect on resilience and those related to a more favourable outcome. The relationship between nutrition (vitamin B12) activity and cognitive impairment. In addition to the standard CFAS data collection, a number of additional qualitative interviews were carried out, based on life history data, 10% of the sample were asked to provide a blood sample (for vitamin B12 analysis), and a small sub-sample were interviewed regarding life-style and health behaviours.